Public spending on education was 4 per cent of GDP in 2012. 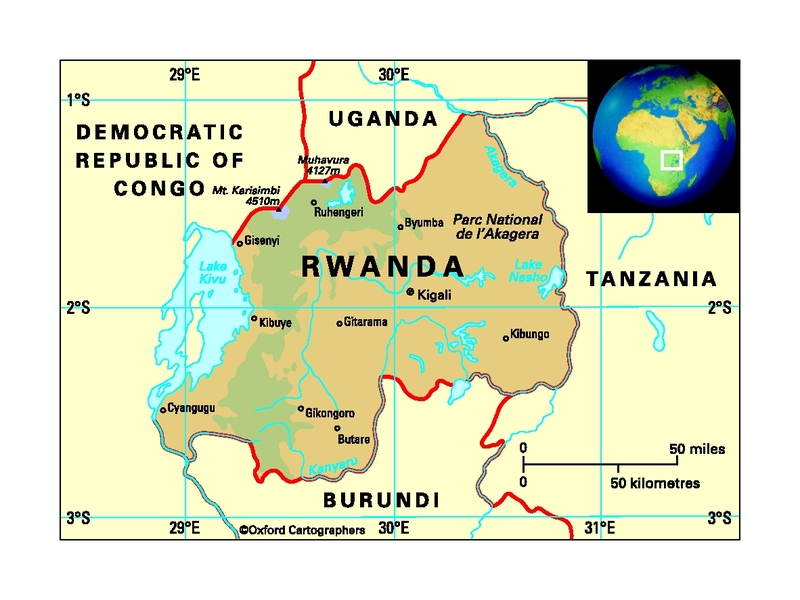 The Ministry of Education in Rwanda is responsible for lifelong education and training, and coordinates provision between the government, donors, churches, non-governmental organisations (NGOs) and the communities. There are nine years of compulsory education starting at the age of seven. Primary school comprises six years and secondary six, with two cycles each of three years. The school year starts in January. Some 35.6 per cent of pupils complete primary school (2011). In 2003 the government launched plans for a new school system with nine years of compulsory basic education. In October 2008 the government decided to change the medium of education from French to English. The National University of Rwanda was established in 1963 with faculties of medicine and social sciences, and a teacher-training college. Faculties of law, science and technology, and the National Institute of Education followed, all now located at Butare in the south. Among other important tertiary institutions are the Kigali Health Institute; the Kigali Institute of Science and Technology; the Rwanda Institute of Administration and Management; and the School of Finance and Banking. The female-male ratio for gross enrolment in tertiary education is 0.08:1 (2012). Literacy among people aged 15-24 is 77.3 per cent (2010).